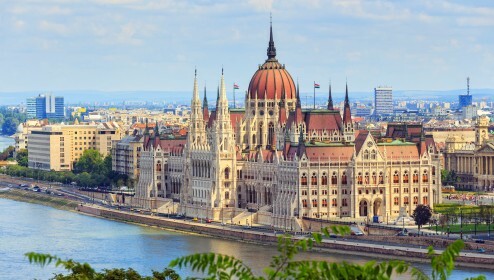 Budapest and Vienna are two of the most magnificent capitals in Europe. They are also so close to each other that visiting them both during your European trip is really easy. 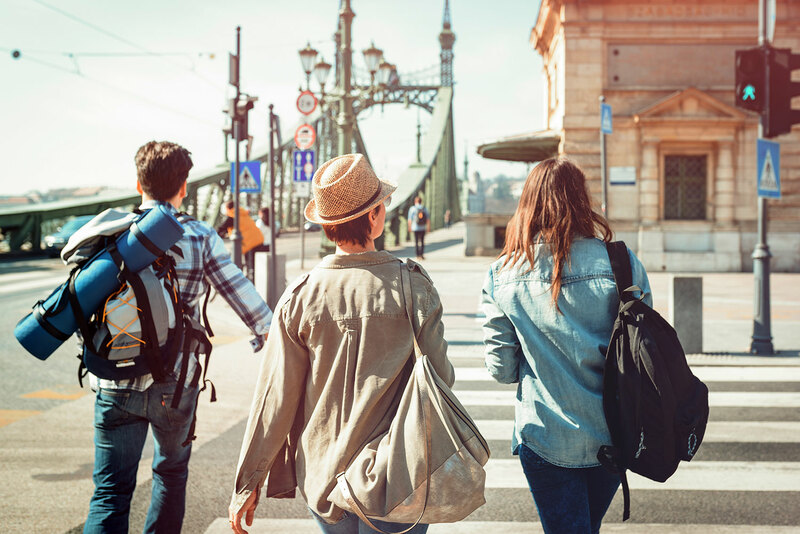 If you are wondering how to get from Budapest from Vienna or in the reverse direction we’ve prepared a little cheat sheet with all the best options! You might be surprised but even if Vienna and Budapest are so close from each other there are direct flights between these two cities. Austrian Airlines serves this route, you can choose from few connections each day and the flying time is 45 minutes. The tickets aren’t the cheapest, starting at €80 one way. But if you like flying then why not using this option to get from Budapest to Vienna? 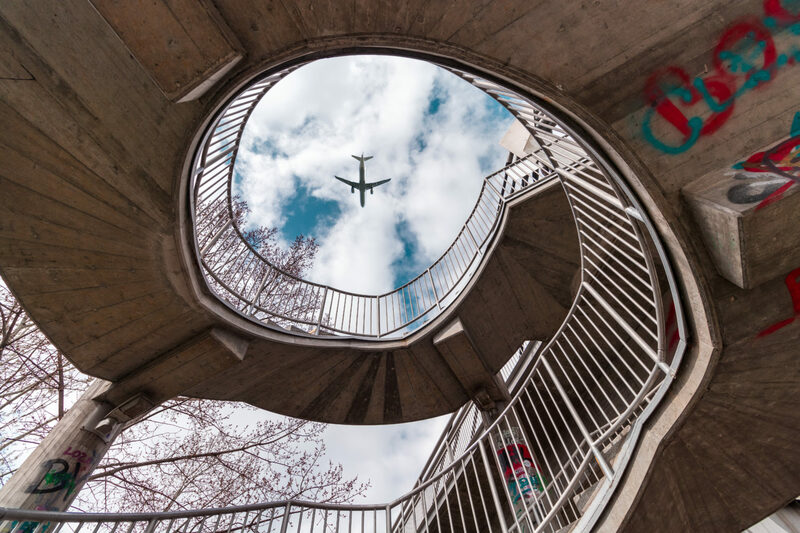 To reach the airport in Budapest you can either take the bus 100E from centrally located Deak Ferenc ter (the ticket for this direct connection costs 900 HUF) or the bus 200E from the metro station Kobanya-Kispest (the last station on M3 line). You should allow around one hour for the journey to the airport. In Vienna the easiest way to get from the airport to the center is using the CAT train. This direct connection takes 16 minutes to Wien Mitte station and the ticket costs €12 one way. More budget friendly option is to take S7 train for €4,20, the journey time to Wien Mitte is then 25 minutes. 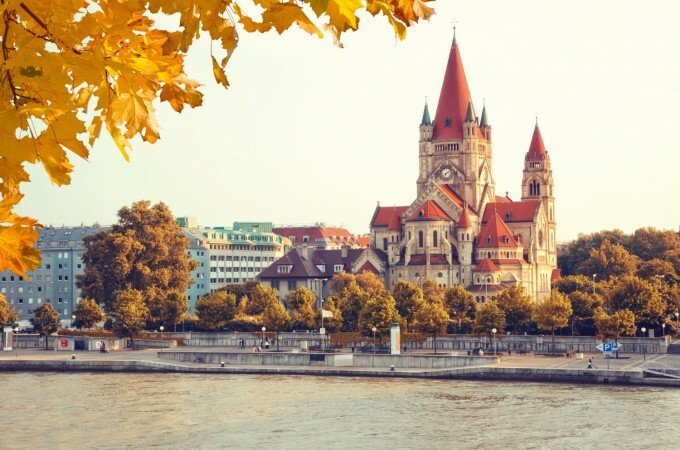 The fastest and easiest way to travel from Budapest to Vienna is by train. There are direct connections between the city every 1-2 hours between 06:40 in the morning and 20:40 in the evening. 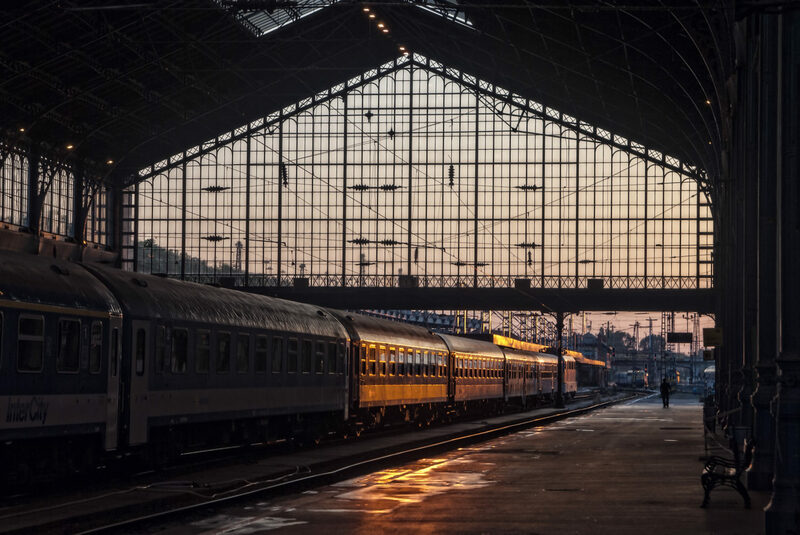 The journey takes 2 hours and 40 minutes between Budapest Keleti and Wien Hauptbahnhof stations (both are the main stations in the cities) and it is usually operated by comfortable railjet trains. When booking in advance the ticket start at €13 but last minute you should expect to pay more like €40. You can get the tickets online at the website of Austrian Railways or Hungarian Railways (although when purchasing at the Hungarian website you have to collect the ticket from the tickets office at the train station) or buy it the old fashioned way at the train station. Another good and hassle-free option to travel from Budapest to Vienna is by bus. There are numerous connections through the day and the journey time is just under 3 hours. Two companies serve this route: Flixbus and Regiojet and while in general they offer a similar service the second one usually tends to be slightly better. Tickets start at €9 and can be bought online at Flixbus or Regiojet websites. In Budapest buses depart from Nepliget bus station (you can reach it by M3 blue metro line) or Kelenfold (at the end of M4 green ine). In Vienna Flixbus buses arrive at Erdberg bus station (at U3 orange metro line) and Regiojet at the main train station Hauptbahnhof (at U1 red metro line). Another option to travel from Budapest to Vienna (or from Vienna to Budapest) is to take the small group sightseeing tour bus. Not only you will be able to do some sightseeing along the way and visit places you wouldn’t be able to squeeze in one day of travel by public transport, but you can also meet fellow travelers and learn about the region from the knowledgeable guide. 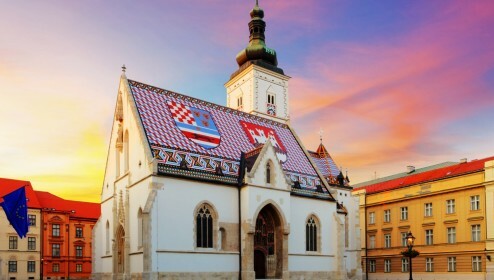 The tour lasts 10 hours and takes you through the beautiful Hungarian countryside and towns. Your first stop will be at the Gothic, 14th century Tata Castle, located at the Lake Öreg. Afterward, you will continue to the Benedictine Pannonhalma Archabbey, where you can see one of the most beautiful libraries in the world. From there it’s a short ride to Győr where you will have lunch and wander around the picturesque town with pastel baroque houses. Before reaching Vienna, you will stop at Eszterháza Palace in Fertőd. Known as the Hungarian Versailles, this is one of the most beautiful palaces in the region. The last stop of the tour is in Sopron, right at the border with Austria. You will fall in love with the charming lanes and red rooftops of this lovely town. One hour later you will finish the tour in Vienna, tired but satisfied with the eventful day. 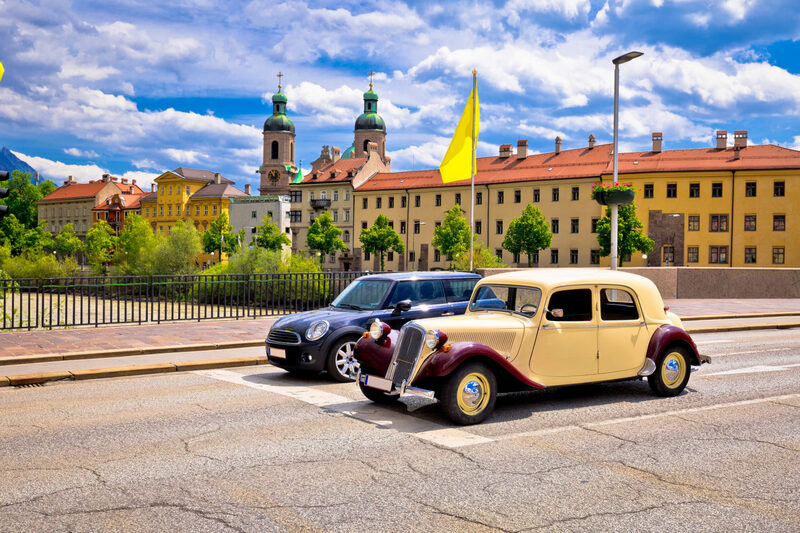 Car sharing is the popular way to travel around Central Europe and the route from Budapest to Vienna is no different. Usually there are over a hundred rides to choose from, departing from Budapest through the day. The best way to find the journey is at BlaBlaCar website, the most popular one offering these services. 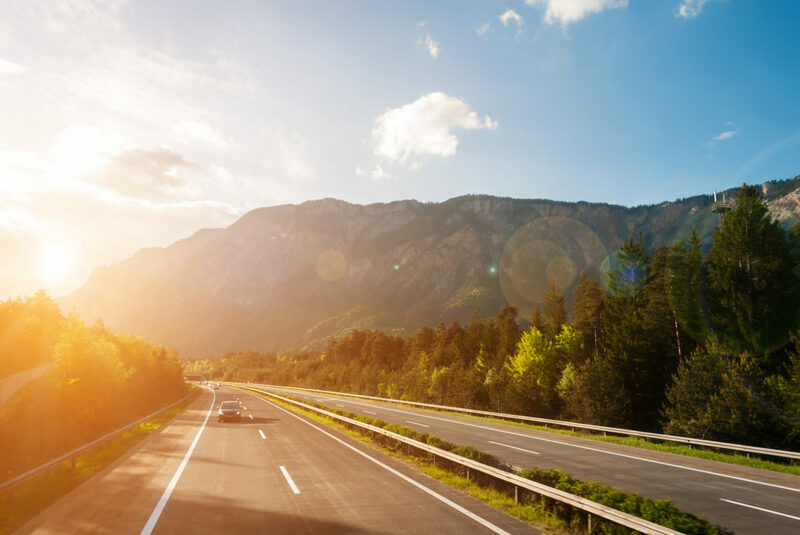 The price and the place of departure depends on the driver so you should browse the website to find the most suitable option for you and then contact the driver to arrange all the details. Car sharing can be a fun way of travels and a great opportunity to chat with interesting people. 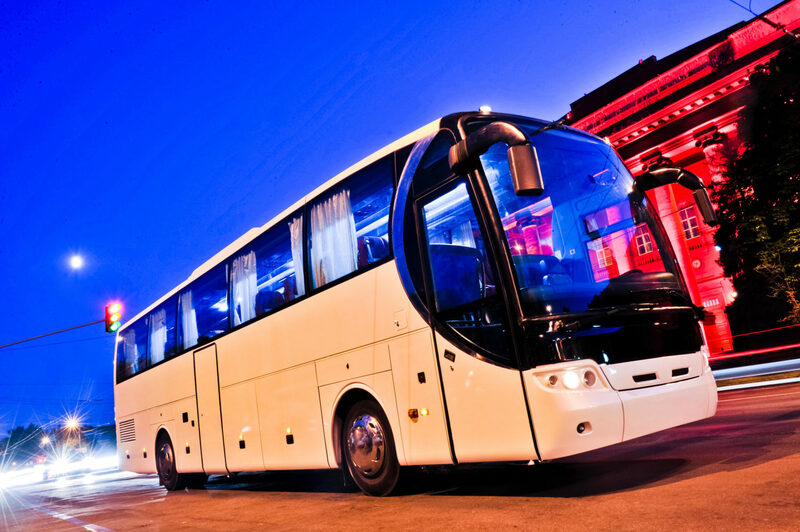 For the ease and flexibility of travel you can take the private transfer from Budapest to Vienna. It is especially advisable for those travelling with a company to make the costs lower. The price for a car fitting up to 4 people should be around €165 but you can use the door-to-door service planned according to your needs. Hitchhiking from Budapest to Vienna shouldn’t be difficult as there are lots of cars travelling between these two cities. If you are lucky you can even get a ride for the whole journey. When starting from Budapest you should first go OMV petrol station BAH-csomópont. You can get there by buses 8E, 110, 112, 139, 140, 140A or trams 17 and 61. Even if this place is still close to the city center a lot of traffic goes towards M1 and M7 roads and of all the hitchhiking points this one seems to be the best one. In the reverse direction head to the gas station at the A4 motorway. To get there take the U3 metro line to the station Enkplatz where you should change for the bus no 76A to the stop 7. Haidequerstrasse. Once you arrive there walk straight some 200 meters to reach the petrol station. From here it shouldn’t be a problem to find a ride to either Gyor or all the way to Budapest. If you like walking and have some free time to spare you can easily go from Budapest to Vienna on foot. It’s a rather flat terrain with not too many ups and downs so it shouldn’t be too exhausting trip. 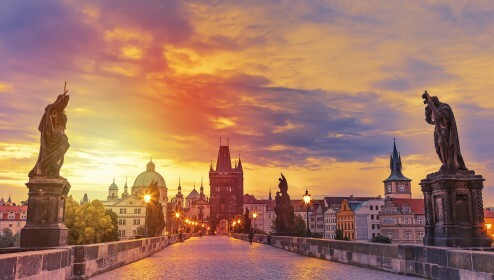 The shortest route is around 240kms so you should allow some 8 days for such a journey but you can also take the longer road around, along Danube river that will take you through some of the prettiest Hungarian cities as well as through Slovakia. Travelling with your own two wheels? You can go for a nice stroll from Budapest to Vienna. Even if this is not the shortest route we suggest you go along Danube. 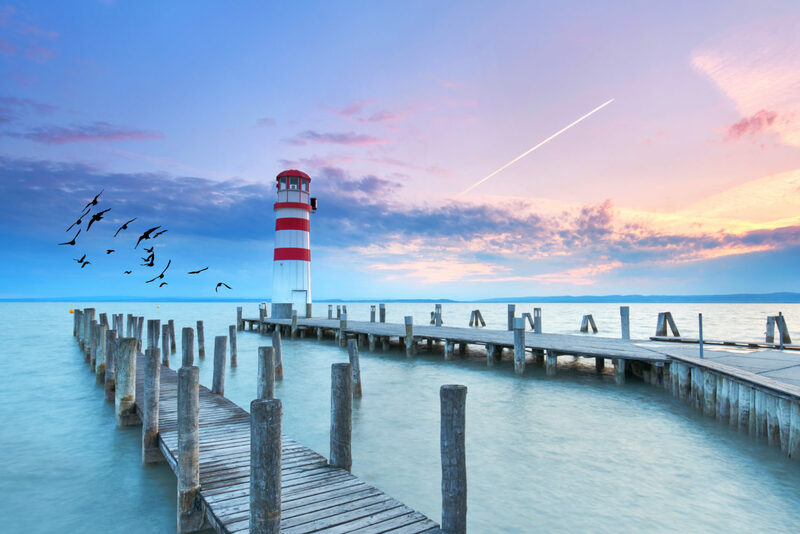 You will only see a small part of the longest river in Europe excluding Russia but it will give you a taste of how magnificent Danube is. 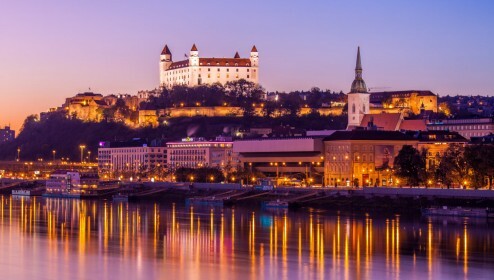 The places you should stop at along the way are Esztergom, Visegrad and Szentendre in Hungary as well as Komarno and Bratislava in Slovakia. From there it’s a short ride to Vienna. Driving from Budapest to Vienna would take you less than 3 hours. But if you have some time to spare you should make the road trip out of this journey and visit some interesting places along the way. You can first do a little detour and visit Esztergom at the Hungarian-Slovakian border. The town, one of the oldest in Hungary, is mostly known for its Basilica – the seat of the Catholic Church in Hungary. It is the biggest one in the country as well as the tallest building in Hungary. But Basilica isn’t the only reason why you should come to Esztergom. The town itself is really pleasant and offers amazing views over Danube. From Esztergom drive to Gyor – one of the cultural centers of Hungary, full of beautiful baroque architecture. The city has a big students population and as a result you can expect a cool, vibrant atmosphere. 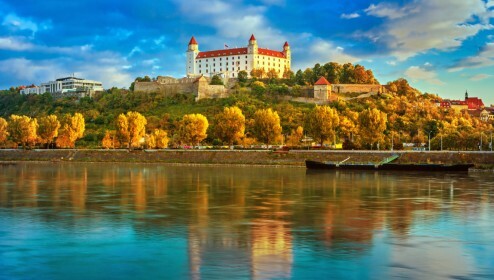 From Gyor hop across the border to Slovakia and visit the country’s capital – Bratislava. You can see a lovely old town, climb to the castle, visit a viewing platform at the top of the UFO-shaped bridge and relax in one of many amazing cafes. 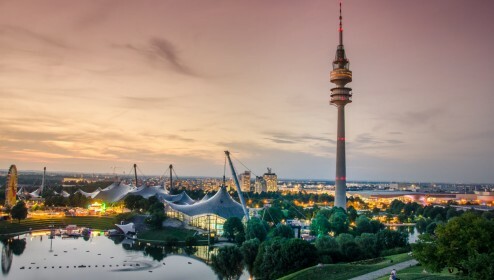 From Bratislava it’s a short, less than one hour drive to your final destination – Vienna. Have a great trip from Budapest to Vienna! Is it best to buy ticket in Budapest so that there are no extra service fees on booking online. Lookin forward to you response. Hi, not sure which tickets you mean exactly, but you might find some good deals when booking online long ahead. Also you can be sure of the availability then. 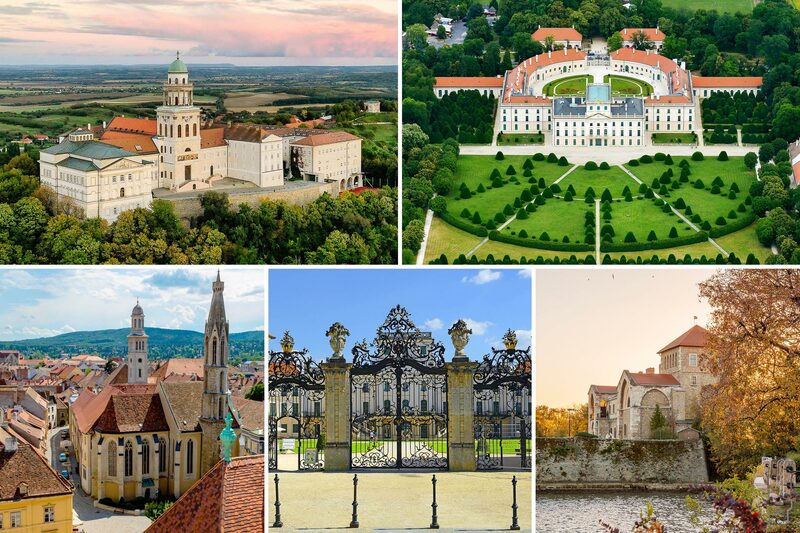 Visit the imposing Eszterházy Palace, Tata Castle and towns of Sopron and Győr on your transfer from Budapest to Vienna.